​we do not take ourselves very seriously." 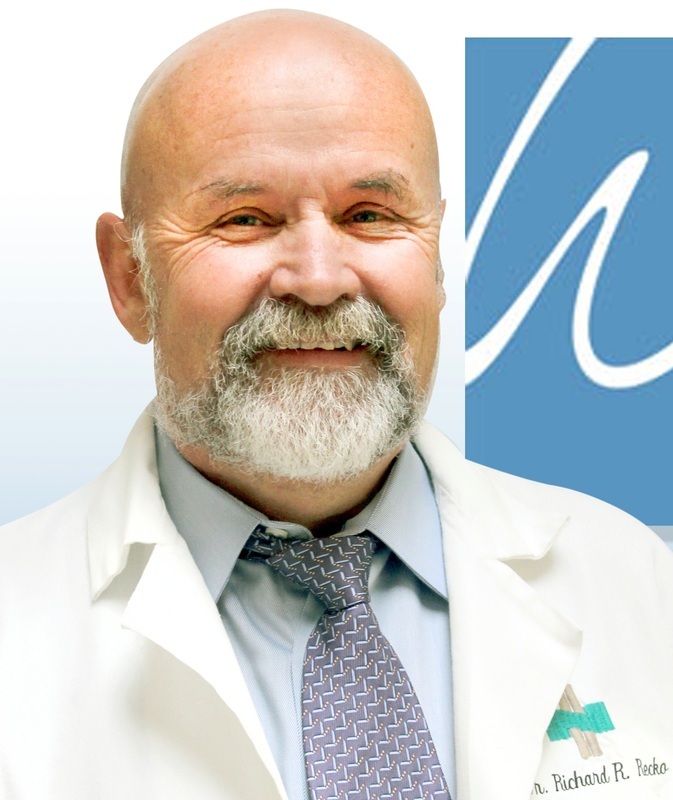 ​board-certified in wound care.He has over 20 years experience in the treatment of high risk and non-healing wounds. ​He does not take your trust casually and is fully committed to wound care. To help us to achieve the highest level of care, the WW&PC has the support of vascular specialists, infectious disease specialists, orthopedists, home health nurses and other supportive staff. BARB, our office manager and KRISTIN ,our insurance administrator, work behind the scenes to keep everything running smoothly. They have the formidable task and responsibility of making sure that all insurance information is gathered and posted accurately. All patient records are strictly confidential and are never shared with any other Individual or office without your permission. MICHELLE,who assumes responsibility for patient care and vascular testing, assists Dr. Recko. Whether it's comfort care, diagnostic testing or assisting in surgery they always put patients and their families first. Amniotic Fluid Fluid Therapy-is it for you? ​For those with challenging chronic, hard to heal wounds or inflammatory conditions such as tendonitis, joint pain associated with early arthritis and cartilage damage, a revolutionary breakthrough application is now available at the Wilmington Wound & Podiatry Center. Amniotic tissues have been used in a variety of medical applications and have been shown the ability to treat pathologies that were unresponsive to conventional therapeutic measures. having the inherent advantage of being unadulterated by the effects of time. as well as the very nature of the tissue donation, Nanofactor is safe. who have volunteered to donate their placenta, after undergoing elective caesarian live birth. An extensive medical review and prenatal evaluation is completed prior to the birth. No fetal sacrifice is involved. Can this help you or a loved one? Contact me at 910-762-2404 and we will explore the options. ​THE PODIATRIST IS OFTEN THE FIRST PROFESSIONAL TO DIAGNOSE THE DIABETIC PATIENT AND MUST ASSUME AN ACTIVE ROLE IN THE INDIVIDUAL'S CARE. the family physician has the most intimate contact with the patient and provides a significant history and physical. the endocrinologist manages the patient's diabetic treatment including all medications. coordination of services: the podiatrist acts as a liaison between the pedorthatist and the patient, ensuring that the orthotics or custom-made shoes fit the patient accurately. The podiatry team will serve as a liaison between home health care nursing and the patient. Our clinic offers supportive services for the diabetic and the vascular- impaired patient. Diabetic shoes and orthotics are available. Nail care and debridement of corns and calluses are treated on an ongoing basis. The lack of feeling in the lower extremities make it difficult and possibly impossible to respond to injury.If the patient cannot feel danger,the patient does not know if he or she is at risk. An innocent walk across the parking lot may result in severe burns of the feet. Peripheral neuropathy can also affect the muscles of the feet and legs leading to mal-alignment of the foot which can result in significant pressure points.These,in turn lead,to ulcerations, infections, resulting in amputations. Individuals with diabetes have dramatic increases in ulcerations and damage to the feet. corns ,hammer toes-as well as dry skin and possibly ingrowing toenals. Depending on the type of problem surgery may be indicated. peripheral neuropathy can also affect the muscles of the feet and legs leading to mal-alignment of the foot which can result in significant pressure points these in turn lead to ulcerations, infections, resulting in amputations. dry skin and ingrowing toenails. gangrene-tissue death due to the absence of blood flow. This most catastrophic complication may be life-threatening if bacterial infection and raised bloodstream become apparent. GESTATIONAL DIABETES is a form of diabetes that occurs during the second half of pregnancy and commonly resolves after delivery of the baby. If you are diagnosed with any type of Diabetes (Type 1, Type 2, Gestational or Syndrome X, it is imperative that you consult a wound care specialist at the first sign of a wound that is reluctant to heal. occurs when the body stops making too little insulin to regulate the blood glucose levels. Type I also may result from the progressive failure of the pancreatic cells to produce any significant amount of insulin. Individuals with type I diabetes require insulin treatments to sustain their lives. TYPE 2 DIABETES occurs when the pancreas still can secrete insulin but the person's body is partially or completely unable to utilize the insulin. This is commonly termed insulin resistance. Individuals with insulin resistance develop type II diabetes when they fail to secrete enough insulin to cope with their higher demands. age 45-the approximate time when TYPE I DIABETES is usually diagnosed. 90% of all adult individuals have type II diabetes. this usually involves approximately 10% of the diabetic population. Information we provide on woundcarewilmington.com or it's links are not intended to provide medical advice and are not a substitute for professional medical advice. Use of this site does not establish a doctor-patient relationship, does not diagnose or treat a health problem, or in any way does it start any treatment — you should consult with a qualified healthcare provider, or make an appointment with us and see us in person for a consultation. For medical matters, please contact your doctor’s office by telephone. In the case of an emergency, please call 911 immediately.